Aww! D’banj pulled a fast one on his wife. 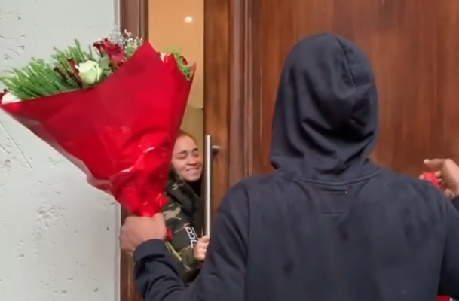 She thought it was a delivery man, but lo and behold it was her man. Watch the romantic video below.